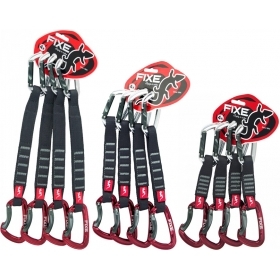 Pack 4 Quickdraws Montgrony Fixe comes with Keylock system carabiners, which prevents the hooking of the rope or other components and facilitates the use of the carabiner. Pack 4 Quickdraws Montgrony Fixe is made of polyester and 16mm wide. 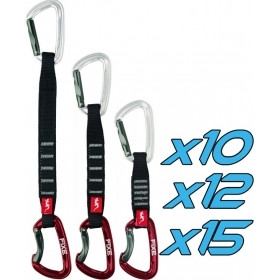 Being narrower than the common 19mm, it works better with the carabiner thus improving its resistance. Polyester quickdraws are rugged and versatile. Its width helps when it is necessary to pull of them with the hands or to prevent involuntary turns of the quickdraws. The strict control in the sewing process and loops finishing of the Pack 4 Quickdraws Montgrony Fixe guarantee a completely homogenous finish. Making it lightweight, low volume and friction resistant. Aluminum, lightweight and capable of withstanding great efforts, making it suitable for general Climbing and Mountaineering. 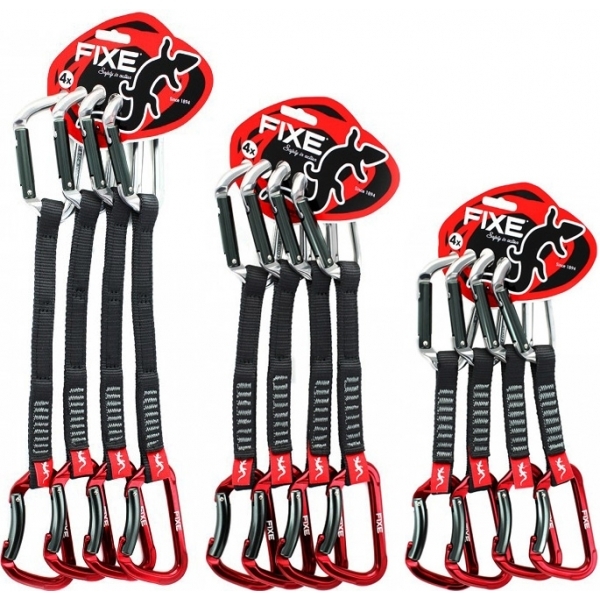 Possibly, one of the strongest carabiners on the market in its category. 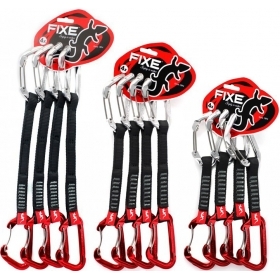 Keylock system (without notches, to avoid accidental rope or clothes hooking) to facilitate its use.